Ranked by website visitor traffic and social media shares, these were the top 10 most popular posts of 2017 on SpeakerMoore.com. 10. Posted on May 30, 2017, the House budget proposal’s tax relief gained thousands of views in its first few hours. 9. Posted on May 11, 2017, praise for the “grill bill” was featured in news outlets over Memorial Day weekend. 8. Posted on April 24, 2017, North Carolina outpacing the nation in job growth was shared over 400 times in one week. 7. 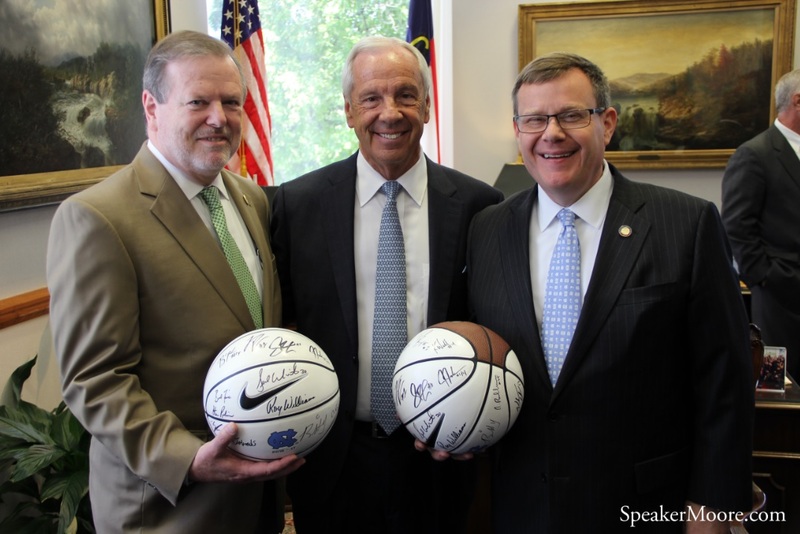 On the most popular social media day of the session, the North Carolina House celebrated the UNC Tar Heels’ 2017 NCAA Men’s Basketball National Championship on May 3. 6. Posted on May 30, 2017, this summary of a marathon hearing on the House budget was popular on all platforms. 5. Passed by the House on June 15, 2017, Rep. Jason Saine’s surplus computers law drew over 550 social media shares. 4. This June 20, 2017 post comparing economic results in North Carolina was read by thousands of page visitors. 3. The zero-tax bracket fiscal analysis released on July 18, 2017 was featured on statewide television and print media. 2. “Cooper’s Claims v. Reality” was by-far the most popular post at its time of release on June 28, 2017. 1. Receiving thousands of social media shares, this July 21, 2017 post took the top spot for website traffic, too. Thanks for reading and sharing SpeakerMoore.com in 2017.